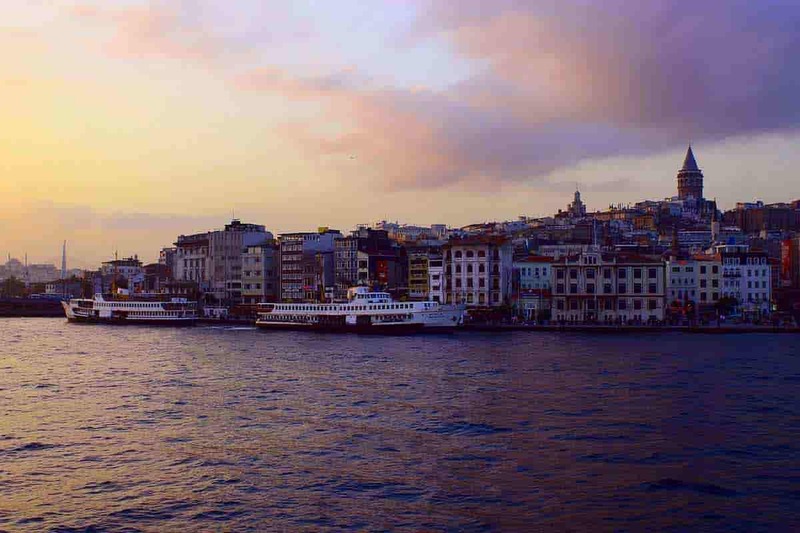 Port Bosphorus hotel which is located in Karaköy is at the core of culture, art and entertainment. Our hotel, only a few minutes’ walk from the historical funicular which provides easy access to the nostalgic tram that runs along the Istiklal Avenue, is 19 km away from the international airport. In addition to these, it offers easy access to ferry piers of Eminönü, Anatolian side, the islands and daily bosphorus tours. It’s within a walking distance from the Istanbul Modern Art Museum, Galata Tower, St. Antoine Catholic Church, Galata Bridge, tramway ve bus station. . Beyoğlu district, the Egyptian bazaar, The Blue Mosque, the Grand Bazaar and the Dolmabahçe Palace are within a walking distance from the hotel. Sultanahmet Mosque (The Blue Mosque) was built between 1609 and 1616. The mosque was called “The Blue Mosque” by Europeans since it was decorated with more than 20.000 blue, green and white Nicean tiles and as the interior part of its semi-domes and great dome were also decorated with hand-made pen work adornments. 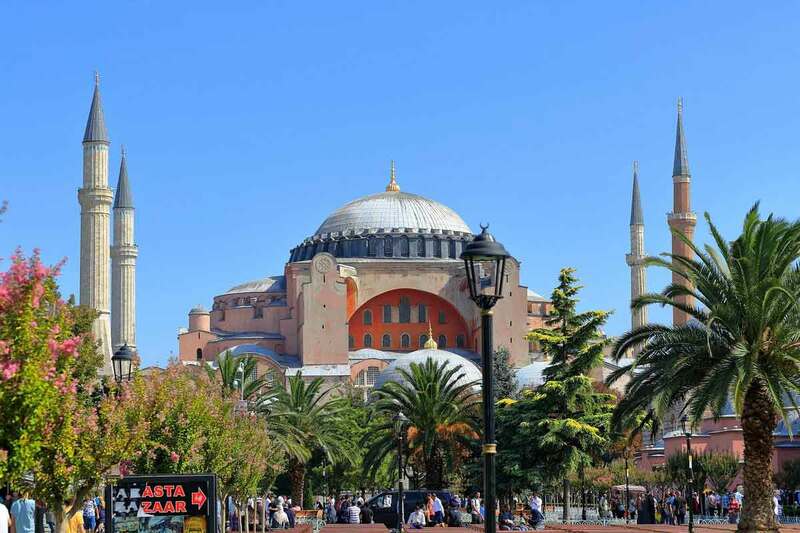 When Hagia Sophia mosque was converted to a museum, it became the main mosque of Istanbul. In fact, when considered with its annexes, the Blue Mosque is one of the biggest building complexes in Istanbul. Hagia Sophia, The Blue Mosque, the Turkish and Islamic Arts Museum and the Basilica Cistern (Yerebatan Sarnıcı) which are among the most important masterpieces of Istanbul is there, around the Hippodrome. Also Topkapı Palace which is close to Sultanahmet is the residence of Ottoman Sultans, and administrative and educational centre of the Ottoman Empire. Besides being one of the most visited museums in the world, Hagia Sophia is one of the most spectacular masterpieces in the history of world architecture. Named as the “the eighth wonder of the world” by Eastern Roman Philon in the 6th century, Hagia Sophia was built three times at the same spot. Hagia Sophia is characterized as the greatest Byzantine church that was built in Istanbul. There is a column which is covered with bronze plates with a hole in its centre in the northwest of the building. This column which is known as the sweating column, the crying column or column of wishes is said to have super natural powers and become wet when touched. The Galata Tower looks over the Beyoğlu district since 1348. The Galata Tower which has a lot of legends regarding its construction was used as a fire watch tower up to 1960s. The tower which attracts quite attention, allows you to look over the city with a panoramic view from its upstairs restaurant nowadays. In miniaturk where 1/25th scale models of selected architectural masterpieces from Turkey and Ottoman territories, 59 of the models are from Istanbul, 51 are from Anatolia, and 12 are from the Ottoman territories that today lies outside of Turkey. The Kariye Church is an old Byzantine church. Renaissance Palaiologos style mosaics and frescos are one of the biggest and most detailed sacred cycles in the world. It is said that the islands of Istanbul were named as Prince’s Islands, as they were the exile locations for members of the royal Byzantine dynasties. Only five out of these nine islands are nowadays used as a living space. Especially Büyük Ada island, Heybeli Ada island, Burgaz Ada island and Kınalı Ada island. You can access the islands by taking an enjoyable ferry or boat ride that departs from Kadıköy, Eminönü ve Bostancı. You can have a horse carriage ride to reach the picnic spots and you can swim. The islands wherein Istanbul hides one of its different aspects offers an alternative experience about the city. Distance from our hotel: 13 Km – You may get a tramway that departs from Cevizlibağ in every 30 minutes.